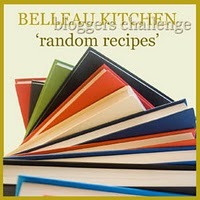 It's one year since Dom at Belleau Kitchen started his Random Recipes challenge. So to celebrate this momentous event, we have all had to go back to the first book we used for a Random Recipe. The first book I used for this challenge was Seasonal Cooking by Claire Macdonald of Macdonald. I know that a few people have said they have never heard of Claire Macdonald, well she is well worth finding out about. An amazing cook, she owns the Kinloch Lodge on the Isle of Skye, she also writes a mean recipe and includes some entertaining stories along with the recipes. I've seen her demonstrate which is a real treat as she is very skilled and also very amusing. Anyway, I opened this book and found myself staring at what seemed like a rather uninspiring recipe for Egg and Bacon Rolls. However, sticking to the rules I thought I'd better give it a go. Hard boil the eggs . Grill the bacon until crisp, cool and cut into small pieces with scissors. Shell the eggs when cool and chop . 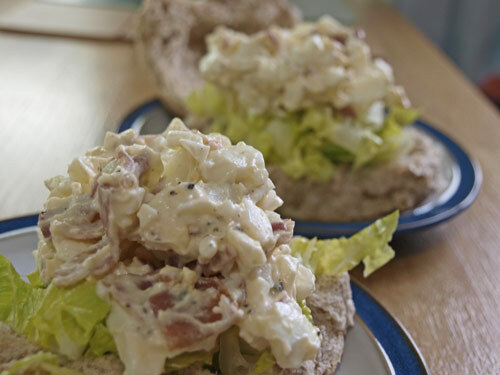 Mix together the egg, bacon and mayonnaise in a bowl, season to taste. I found the bacon was salty enough without any additional salt just a little ground pepper. Open the rolls and put a some shredded lettuce on the bottom half, pile on the egg and bacon mixture dividing it between the rolls. I may have been a little sceptical about this being a 'recipe' as such, but it made a really tasty lunch and would also be a perfect breakfast or brunch dish, particularly as you could make up the filling the night before and keep in the fridge until required. That's simple and easy for a quick lunch on the go. 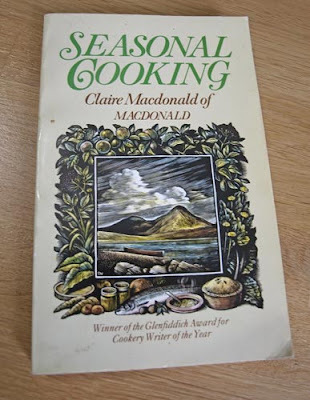 I LOVE Claire Macdonald and have her fish and seadfood cookbook! LOVED this blog post and also LOVED your recipe for RR! Lady Claire is indeed wonderful. We have stayed at Kinloch Lodge and it is one of my favourite ever places. The food is wonderful. We also spent a day with her in her cook school and have several of her books. 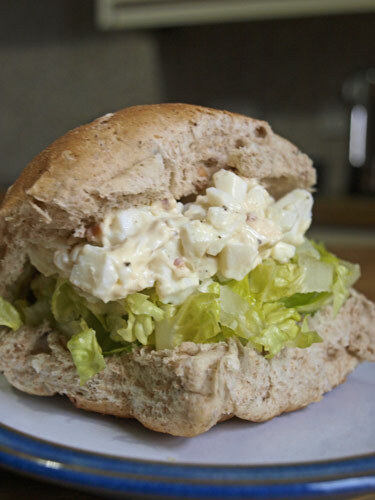 Lots of posh recipes to choose from but also some lovely quick and easy things like these rolls. Great idea! 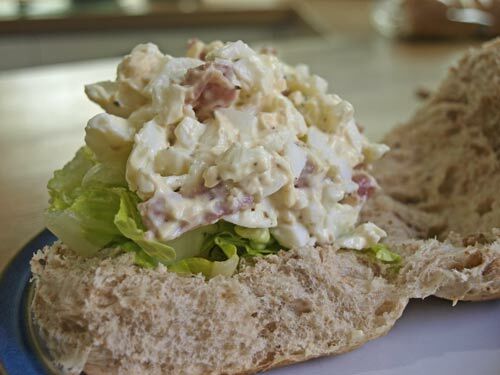 There's nothing wrong with simple and this has made me seriously hungry. came over from dom's! It may seem unexciting, but there's nothign wrong with simple food and bacon and egg is such a tried-and-tested delicious combination (: wouldn't mind that for lunch myself. Love it! Bacon and egg is such a classic combination you can never really go wrong with it. Even simple recipes can be hard to execute perfectly - it's always the easy looking ones that stump me! But this looks delicious. Yum!